Our BankTracker report has been updated with the latest figures from the Federal Deposit Insurance Corporation (FDIC) to reflect the second quarter ending in June 2016. BankTracker traces the financial health of every bank and credit union in the country. Banks have declined by more than 27 percent since the Great Recession began in December 2007. But total assets, capital, deposits, profits and reserves have all collectively improved, according to an in-depth analysis of FDIC data by the Workshop published earlier this year. Engy Abdelkader and fellow panelists encourage journalists to improve coverage by featuring stories on daily life. 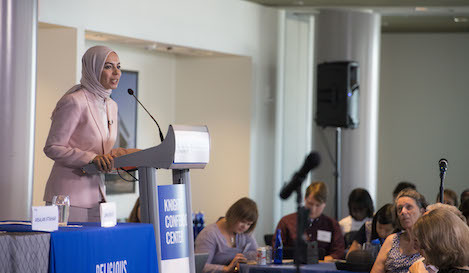 Journalists and scholars of Islam explored the bias Muslims face and how the media influences both public opinion and global politics in “Islamophobia in Focus” last week at the Newseum. I didn't always know I wanted to be an investigative reporter. In fact, it was not until years after being properly introduced to journalism at Morehouse College that I was even made aware of what investigative reporting really was through the Georgia News Lab created by David Armstrong. That experience of serving as a student investigative reporter with the lab, followed by a summer with the Atlanta Journal-Constitution as an investigative intern, is what truly sparked my awareness. 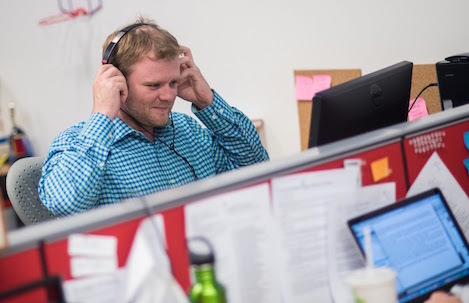 Patrick Madden at work at WAMU-FM, a partner with the Workshop on "Assault on Justice" about the potential over-use of the charge in Washington, D.C.